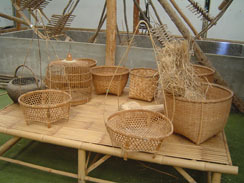 The weaving of strips of bamboo, rattan, and similar plants into maskets, containers, and a multitude of other houseold articles is one of Thailand's oldest crafts. 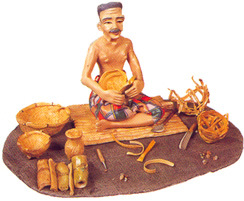 Every region has its own particular style of weaving and favourite type of design. 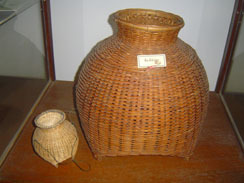 Their durability, usefulness and natural charm make woven baskets popular purchases even today.